The second Preliminary Progress of the Farm DFBS Report has been released. As dairy businesses across the state continue to analyze their financial and business performance utilizing the Dairy Farm Business Summary and Analysis Program, updated progress of the farm reports are provided to review the changes that have occurred from 2017 to 2018. Scroll down for different events and articles. Click on article to read in its entirety. April 1 – October, 2019 – Master Gardeners Hotline opens! Volunteers with basic training from Cornell who have expertise in horticulture will gladly answer your home gardening questions. We can help solve problems with soil, insect pests, deer resistant plants, ticks, vegetable varieties and other gardening topics. Our goal is to help citizens have the best gardens possible using environmentally-sound gardening practices. Click HERE for more! Click image for more details and to register! 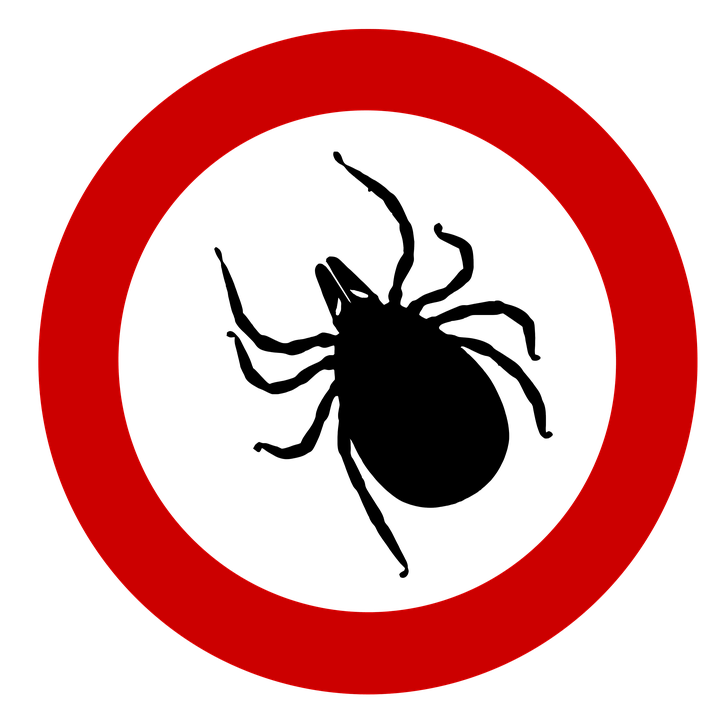 April 9, 2019 – Tickborne Diseases Update: A CDC Webinar – This webinar will cover major updates in tickborne diseases in the US. 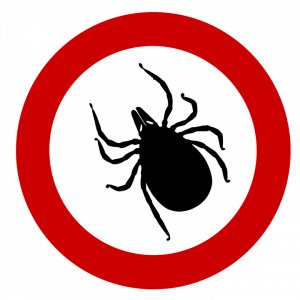 Specific information about the extent of the recent multi-state invasion of the exotic H. longicornis tick will be discussed, as well as the real risk of pathogen spread. 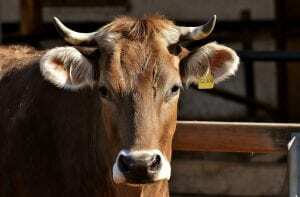 April 9, 2019 – Beef Cattle Management Webinar: Just in Time For Spring. This webinar will look at operation results from 2018 as well as their outlook for 2019. Presentations will outline their procedural and financial outcomes, review methods including grazing routine, water system, conditioning and veterinary concerns, transportation and a marketing program. Click image for details. 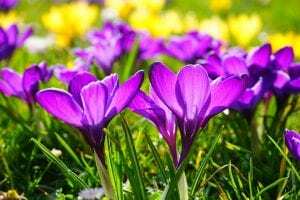 April 13-14, 2019 – Dickman Farms Hosts Va Va Bloom Garden Show (come out and meet our Cayuga CCE Master Gardeners!) Creative seminars offered for gardeners and artists alike! Come and browse the farmers’ market available throughout event hours. 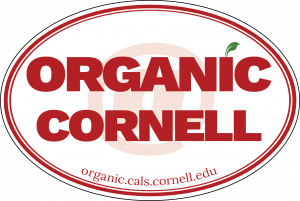 April 24, 2019 – Cornell Organic Symposium: The Organic Production and Marketing Program Work Team is sponsoring the second annual Cornell Organic Symposium, April 24thfrom 1:00 – 5:00 PM in G10 Biotech on the Cornell Ithaca campus. The Symposium is an opportunity to network and learn about what’s happening in organic research and extension at Cornell. This year the Symposium will have a weed management theme and feature weed ecologist Chuck Mohler as keynote speaker. Click HERE to register. Click Image for more event details! Click Image to register and for more details! 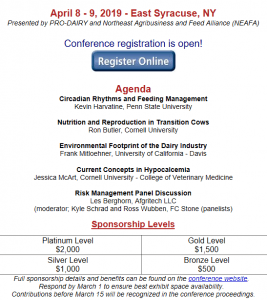 2019 Dairy Market Watch Newsletter – Click image for more!